Following from our previous articles on the “core” we have discussed why it is important and what muscles are involved in creating efficient and effective movement. To conclude our series on the “core” we are going to check out the deepest layers and mechanisms that are needed for the “core” to work in synergy and create effortless movement. Specifically we will be looking at Diaphragm, Pelvic floor and Multifidus. Another deep muscle is your Transverse abdominus which has already been discussed in the previous article but we will mention its role again here. These muscles work to control our bodies intra-abdominal pressure to maximise the support and stability of the spine. You can read our first article What is The Core? by clicking here, or part 2 of the series by clicking here. 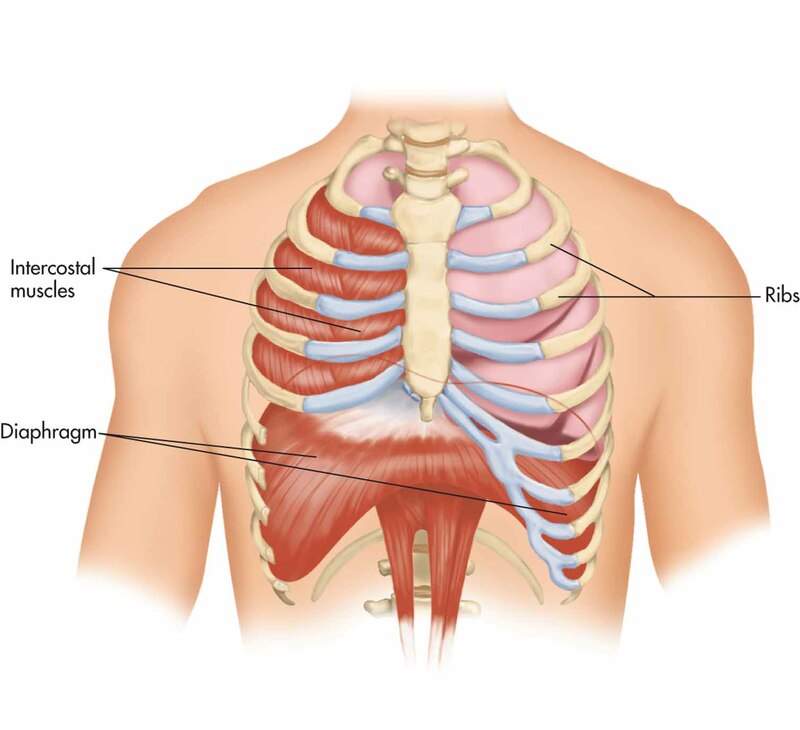 Your diaphragm is a dome shaped muscle that sits underneath your lungs and is attached to the end of your ribcage with parts attached to the lower part of your spine. It is a strong muscle that helps the expansion of lungs when we breath in and out. It acts as a divide between your chest and hips, both front, back and to the side. The space between the chest and hips is your abdominal cavity. Sitting in this cavity you have structure such as your lower spine and your pelvis with many of your internal organs. The diaphragm acts like the lid on a cylinder. When you breathe in your diaphragm contracts pressing down toward your hips, compressing the muscles and internal organs in your abdominal cavity, creating intra-abdominal pressure. When you breathe out the diaphragm retracts and lifts away from your hips releasing the pressure. This mechanism works in unison with the Pelvic floor as the bottom part of the cylinder. Pelvic floor is the name given to the collection of muscles that sit at the base of your sit bones, tailbone and pubic bone. Its primary function is to support and stabilize the pelvis and all the internal organs sitting in the pelvic cavity. The diaphragm and Pelvic floor ideally should be parallel to each other and contract and release simultaneously. This synchronized dance controls the pressure in the abdominal cavity and creates stability with the TA wrapped around it from the diaphragm to the Pelvic floor like a corset. The importance of alignment in the body is particularly relevant for the Diaphragm and the Pelvic floor to work in unison. When the bones are aligned the two should be parallel to one another. Our modern day posture inhibits this function as our sitting position compresses the lungs and tightens our hips. As a result many struggle to get this mechanism working in the beginning. Patience, persistence and perseverance at Pilates well help you to align the body and in time work these two important muscles as they are designed to work. As mentioned in the previous article your TA acts like a corset that wraps around your torso from your pubic bone to your breastbone and all around the torso. Your TA is like the walls of the cylinder with the diaphragm at the top as the lid and your pelvic floor at the bottom as your base. The efficient contracting and releasing of these muscles helps to stabilize and protect the spine and all of the organs in the abdominal cavity. This is a small but significant group of muscles that run along your back from your sacrum to your neck along your spine. Much like your TA it acts as a trunk stabilizer and also facilitates extension, side bending and rotation of the spine. We are ultimately aiming to get a co-contraction of the Pelvic floor, TA and Multifidus muscles for deep trunk stability before initiating all movement. Always beginning with concentration before movement, one of the Pilates principles. In conclusion to our Core series the role of your deeper core muscles explained above is primarily for stability and support of the spine, pelvis and internal organs. Like a building, if the steel beams and foundation are not strong it doesn’t matter how sturdy the bricks or the plaster on the walls is it will be unstable. Our bodies are much the same. Strength in a muscle means it has the ability to move efficiently, contract and relax when needed. Just like a building, none of the “core” muscles operate in isolation. Full integration of the deeper muscles to your more superficial ones is what creates healthy and efficient movement. This is what we aim for and work towards in Pilates. Every exercise has been designed to create a dance that aims to create beautiful, balanced movement from the inside out.